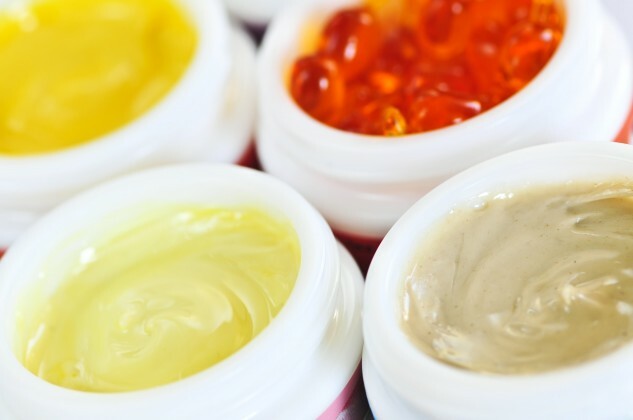 With the multitude of skin care and cosmetic products available, choosing the right products can be overwhelming. In general, everyone should follow a basic skin care regimen that cleanses, protects, and moisturizes. That means cleaning your skin with a cleanser that’s right for your skin type (eg, a gel for oily skin and cream cleanser for dry skin), followed by a moisturizer that contains sunscreen (at least SPF 15, but higher is better). Antioxidants: These products (often containing vitamin C, vitamin E, and alpha-lipoic acid) play critical roles in the production of collagen. They reduce free radicals in the skin which are unstable molecules that lead to skin inflammation and oxidation (the same process that turns an apple brown). Antioxidants additionally strengthen blood vessel walls and serve as a photoprotectant (thereby providing additional protection of your skin from the sun). Alpha Hydroxy Acids (AHAs): These naturally-occurring acids in fruits and milk include glycolic, lactic, tartaric, and citric acids. They provide for cellular renewal (new skin) and help to reduce fine lines and sun spots/blotchiness. Peptides: These small chains of naturally-occurring amino acids have been shown to enhance skin moisture and reduce the appearance of fine lines. They are found in a number of over-the-counter products. Retinoids: These vitamins (which are a form of vitamin A) improve skin wrinkling and discoloration by enhancing skin circulation and increasing new collagen production (neocollagenesis). The most popular over-the-counter retinoids contain retinol, Prescription strength retinoids include Retin A and Renova. Bleaches: The most common topical bleaches include hydroquinone and/or kojic acid. These products interfere with melanin (pigment) production in the skin and, thus, help to reduce dark spots and blotchiness.